Nearest Railway Station is at Junagarh Road, Bhawanipatna and Kesinga. 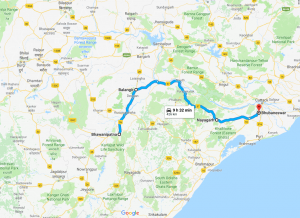 Nearest Airport to Kalahandi is at Bhubaneswar, and Raipur which are about 418 km and 261 away respectively. Bhubaneswar is well air connected with all major airports in India. 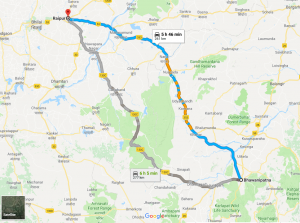 Kalahandi is connected by regular bus services from many important cities in the state including Koraput, Bhubaneswar and Berhampur. State owned road Transport Corporation and private bus service providers operate buses between Kalahandi and other cities.